Celebrate Valentine’s Day at the Majestic Hotel! Available for a limited time. Valid Valentine’s Day Weekend (February 15th and 16th 2019). 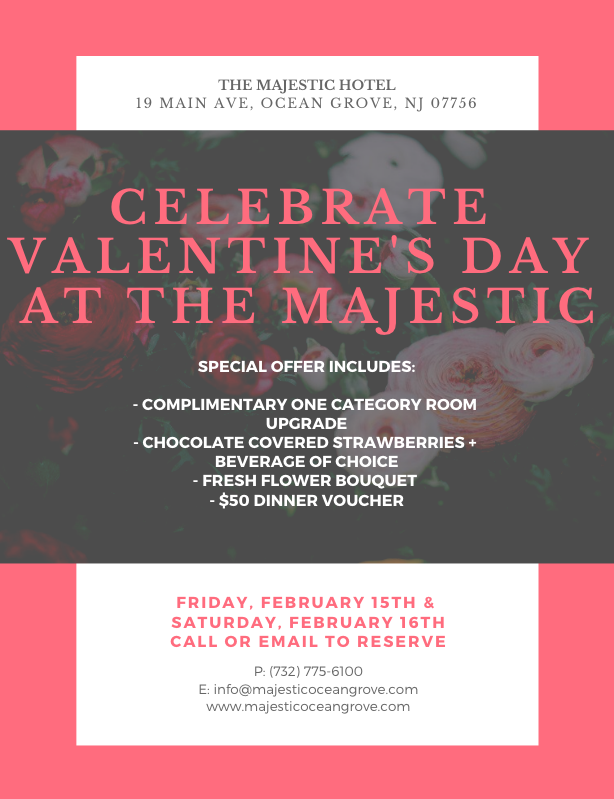 Please call 732-775-6100 or email info@majesticoceangrove.com to reserve.